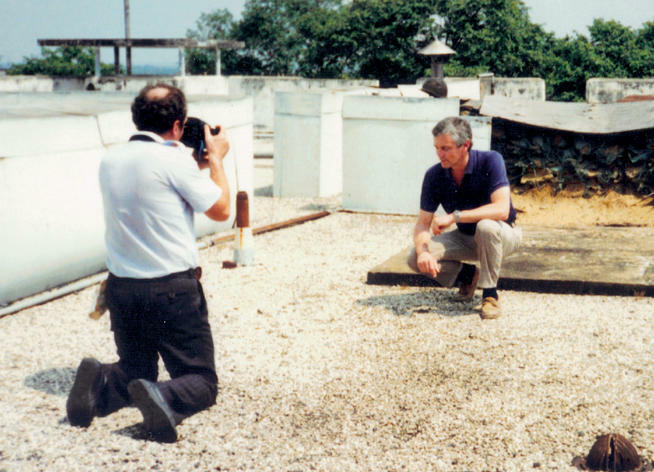 Frank Snepp ’65, ’68 SIPA stood on the roof of the U.S. embassy in Saigon. It was April 30, 1975. In a few minutes, the last CIA chopper would evacuate him to the U.S.S. Denver. The North Vietnamese were shelling the city. The air was filled with smoke as hundreds of South Vietnamese struggled in vain to enter the embassy and board a flight. Bowing to the inevitable, Snepp boarded the helicopter, knowing that he was abandon­ing friends and colleagues to the North Vietnamese. The Fall of Saigon would be a decisive moment for Snepp. 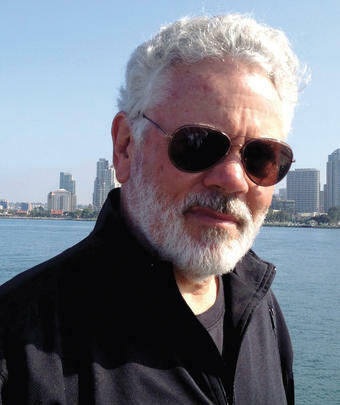 An­gered by how the CIA and State Department had handled the evacuation, he would become one of the CIA’s first whistle­blowers, and his legal battle to publish his exposé would go all the way to the Supreme Court. Afterward, he would become an award-winning investigative journalist, exposing corruption on the national and local levels. Snepp could not have predicted the path his career would take, but he knows that it started at Columbia. After studying Elizabethan literature, Snepp spent a year at CBS News as a desk assis­tant for Walter Cronkite and Mike Wallace. He then re­turned to Columbia to study at the School of International Affairs (SIA, now SIPA). Snepp’s politics and aca­demic specialization made him a strong candidate for the CIA. He was recruited by SIA’s Associate Dean Philip Mosely, who had helped shape America’s post-WWII foreign policy and was one of the world’s leading authorities on So­viet affairs. “[Mosely] said, ‘Frank, I don’t think you’re sophisticated enough to be in the State Department. How would you like to be a spy?’” Snepp agreed. After a year in Europe, the CIA detailed Snepp to Vietnam in 1969. Turning down the traditional two-year assignment rotation, he remained in-country, becoming one of the Saigon station’s top experts in North Vietnamese strategy and psychology. Unusually for the agency, he was both a desk analyst and a field op­erative, running a key network of informants. It was difficult, dangerous work that exposed him to the underside of the war and placed him in morally am­biguous situations. He helped South Vietnamese President Nguyen Van Thieu flee Saigon in the middle of the night with suitcases full of gold; he was almost killed by an American soldier for providing medicine to a wounded prisoner; and he interrogated high-ranking pris­oners, including Colonel Nguyen Van Tai, a top Communist operative who had come south to coordinate North Vietnam’s counterintelligence and terror network in Saigon. As he spent more and more time in-country, Snepp’s views on the war and America’s involvement began to change. “I loved the people, but I loathed the [South Vietnamese] govern­ment,” he says. He saw fellow staffers at the U.S. Embassy who “threw up their hands” and descended into booze and drugs, and he encountered spectacular corruption among the South Vietnamese elite. 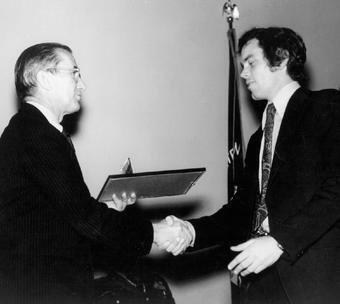 Snepp receives the CIA Medal of Merit in 1975 from CIA Director William E. Colby. PHOTO: COURTESY FRANK SNEPP ’65, ’68 SIPAPublished in 1977, Decent Interval provided one of the earliest of several revelations about the agency, and the CIA sued Snepp to prevent publica­tion. In 1980, the case reached the Supreme Court; Snepp lost. The consequences were devastating. Decent Interval had already been published but the agency seized the book’s royal­ties. “One day [he] had $300,000 in the bank, the next day [he] had nothing,” says Langguth. Ted Rabinowitz ’87 is a copy-writer and author. His first novel, The Wrong Sword, was published last year by Musa Books under the pen name Ted Mendelssohn.